Prince Philip, the 96-year-old husband of Queen Elizabeth II, conducted his final solo public engagement on Wednesday. Britain's Prince Philip, Duke of Edinburgh, in his role as Captain General, Royal Marines, attends a Parade to mark the finale of the 1664 Global Challenge on the Buckingham Palace Forecourt in central London on August 2, 2017. Prince Philip, the 96-year-old husband of Queen Elizabeth II, conducted his final solo public engagement on Wednesday, overseeing a military parade in the pouring rain that capped a lifetime of service. 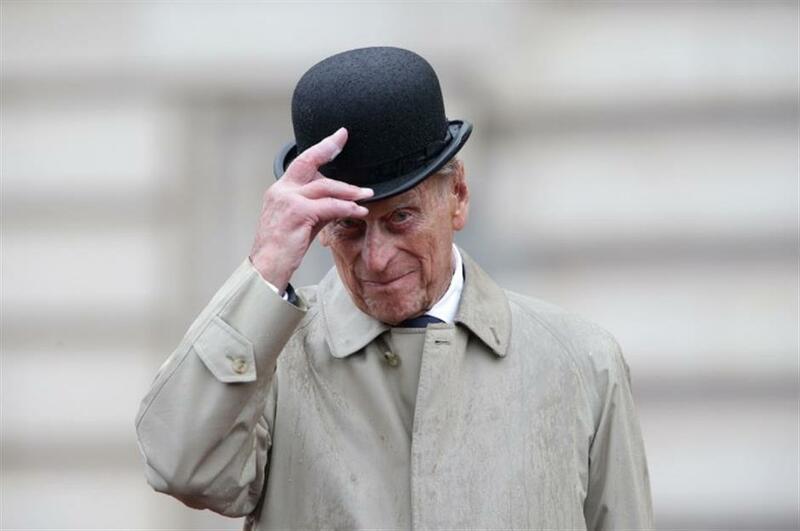 The Duke of Edinburgh, wearing a raincoat and bowler hat, met members of the Royal Marines and veterans -- many younger than him -- before taking the salute in the forecourt of Buckingham Palace. Hundreds of well-wishers clutching umbrellas gathered outside the gates to cheer on the prince, who is famed for his salty and often politically incorrect sense of humour. The ceremony was the last of 22,219 solo public engagements conducted by the former naval officer since his wife ascended to the throne in 1952. It marked the end of a charity challenge in which the marines ran 1,664 miles (2,678 kilometres) over 100 days to mark the founding of the commando force in 1664. Philip, who served with distinction during World War II, was made captain general of the corps in 1953, taking over from the queen's father king George VI. It is one of more than 780 organisations of which he has been patron, president or a member. He has also carried out 637 visits abroad on his own and given almost 5,500 speeches. "He will be missed on the public stage," said William Cook, 89, whose grandson was one of the Royal Marines being honoured by the prince. "But he's got a lot of young people coming up, I think he's set a wonderful example but they can't better it," he added alongside wife Ella, who had set up camp with picnic chairs outside the palace gates. The duke and the queen have been gradually reducing their duties in recent years, handing over to the younger royals, including heir-to-the-throne Prince Charles and his son Prince William. Philip "may choose to attend engagements alongside the queen from time to time", a spokeswoman said, while stressing that the 91-year-old monarch was not retiring. "Her Majesty will continue to carry out a full programme of official engagements with the support of members of the royal family," the palace said earlier this year. - 'Experienced plaque-unveiler' -The queen once described her husband as "my strength and stay" -- although the duke himself is self-deprecating, joking earlier this year that he was the "world's most experienced plaque-unveiler". Observers pay tribute to his energy, intelligence and commitment to his causes, from scientific and technological research, the conservation movement, and young people. One of his biographers, Gyles Brandreth, told BBC radio that "he's been the busiest royal. Every year, he and (his daughter) Princess Anne vie to which of them does more".? While Prince Philip's life had not turned out as expected, Brandreth said the duke once told him: "I tried to make the best of it... I had to try to support the queen as best I could, without getting in the way." The prince has made headlines for politically incorrect jokes, but he uses it to break the ice, and many view it as a welcome contrast to the queen's more formal reserve. Gruff in public -- he hates media interviews -- he is also widely credited for keeping his family together during the turmoil of his children's divorces and the death of Diana, princess of Wales. Prince Philip is still in good health for a man of his age, although he was hospitalised for two nights in June for an undisclosed infection. Announcing his retirement in May, the palace insisted it was not a decision related to his health. Prince William, the 35-year-old Duke of Cambridge, ended his two years as an air ambulance pilot last week to turn his full attention to royal duties, alongside his wife Kate.